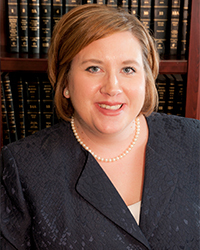 Areas: Amber Yerkey James practices family law in Madison County, Alabama and Morgan County, Alabama particularly in the Huntsville and Decatur areas of North Alabama. Licenses, Admissions & Associations: Ms. James received her Juris Doctor with honors from Birmingham School of Law. She participates in the Alabama Volunteer Lawyer Program as a pro bono attorney, agreeing to take at least two cases per year. She also serves on the American Bar Association’s Congressional Relations Committee, Child Custody Committee, and Assisted Reproductive Technology Committees, and participates in the General and Small Practice Division. In addition to her work as a prominent Huntsville family lawyer, she is a featured adjunct professor at the Birmingham School of Law. Ms. James practices family law in Madison County, Alabama and Morgan County, Alabama particularly in the Huntsville and Decatur areas of North Alabama. With her practice being solely focused on family law, Ms. James assists clients with divorce, paternity, child custody, child support, dependency, surrogacy, adoption, terminations of parental rights, grandparent visitation, fathers’ rights, appeals, alimony, prenuptial agreements, post-nuptial agreements, wills and estates, and real estate and property division matters. As the parent of an autistic child herself, Ms. James brings a great deal of compassion and understanding to matters involving children with special needs. Ms. James distinguishes herself by attending nearly 24 hours of continuing legal education seminars annually, concentrating primarily on upcoming or emerging family law issues. With a staff that practices strict adherence to ethical standards, Ms. James has achieved a status as one of the preeminent family law practitioners in Northern Alabama. New Beginnings is proud to serve as one of the few law firms in Alabama servicing the needs of families enduring Alternative Reproductive Technology (ART).